3. 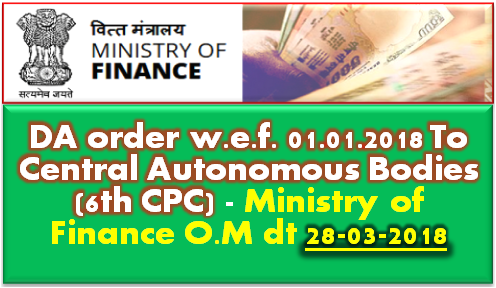 The provisions contained in paras 3, 4 and 5 of this Ministry’s O.M.No.1(3)/2008-E.11(B) dated 29th August, 2008 shall continue to be applicable while regulating Dearness Allowance under these orders. The rate of DA admissible to above categories of employees of Central Government and Central Autonomous Bodies shall be enhanced from the existing 139% to 142% w.e.f. 01.01.2018.